Sekisui Foam Australia is the leading Australian manufacturer of crosslinked polyolefin foams and composites. 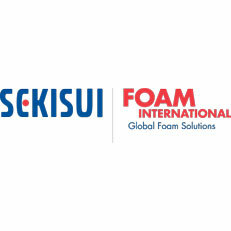 We have been manufacturing in Sydney Australia since the 1970s, with Sekisui Foam International being our key branding profile. Sekisui Pilon is committed to total quality, and protection of the environment. The AS /NZS ISO 9001 standard forms the basis of the company-wide quality system. Our product is used in a myriad of applications in the Construction, Concreting, Insulation, Automotive, Sport and Industrial markets. The CSS range consist of our Expansion Joint range including the new Easy-Form self-wound expansion joint, Closed and Open cell Backer Rod, Sof-Form Pipe and Purlin Tape products.